In association with eFinancials, eBuyer and eProduction, this module helps you to manage product costing and keeps a tab on your profitability. Cost components would include direct labor, direct materials and overheads, incorporating standards and actual costs. Calculation of manufacturing cost includes material costs, labor costs, variable & fixed overhead costs and making comparison of sales price against manufacturing cost. 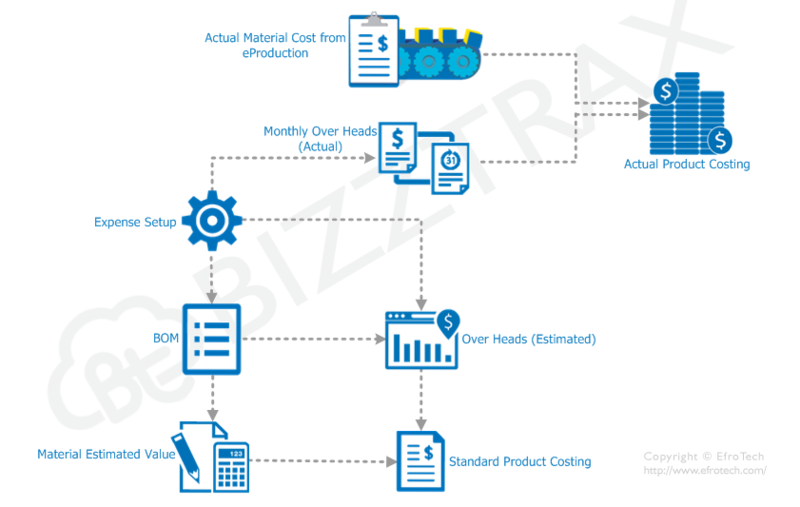 Generate reports for the quantity and price variance calculation between actual production usage and standard usage of all products.